COUNCIL chiefs have refused to disclose how much they spent on hiring Never Mind The Buzzcocks comedian Simon Amstell to host an internal awards ceremony. 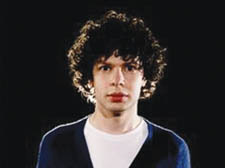 Mr Amstell, who was ordered not to tell any inappropriate jokes and to tailor his jokes to what it is like to live in Camden, handed out staff prizes at the private event in September. The comic was targeted for the job after council officials heard rumours that he had moved into the borough. After a Freedom of Information request by the New Journal, Camden’s lawyers admitted that it would help the public scrutinise council spending if they revealed how much money it had spent on paying Mr Amstell to warm up the crowd. But they insisted the information must be kept secret on the grounds that its release would hurt its negotiating position when dealing with celebrities in similar situations in the future if the cost was widely known. The refusal to come clean came as it emerged that the Town Hall spends £850 a year just to register with a celebrity booking service so that it can reach the borough’s famous faces and add sparkle to its events. Mr Amstell was brought into host the OSCAs (Outstanding Service to Camden Awards) He replaced Neil Litherland, the deputy chief executive who is known for his quick wit and jokey leaving speeches at the Town Hall, and who has hosted the event twice before. A later briefing note prepared by officials said: “It will be good to get the crowd in the mood to have a good time. However, emphasise the need to ensure appropriacy in terms of comedy – don’t want to offend anyone. Camden is signed up to a database that gives them contact details of more than 16,000 celebrities. It is the only council in the country subscribed to the service, called the Red Pages, whose other clients are mostly journalists and gossip magazines. The database – which costs the Town Hall £850 a year to use – provides the details and telephone numbers of celebrities’ agents and publicists. Virtually every Hollywood actor’s details are registered with the Red Pages, including Angelina Jolie and Tom Cruise, although it is likely Camden is pitching its pound at slightly less prominent targets. A Camden press officer said: “We try to use any personal connections we have with celebrities rather than approach agents. Although Camden did not keep a record of the celebrities they had approached, the press officer said Madness singer Suggs and Mr Amstell “came to mind” as stars they had booked through the Red Pages.